Glyphosate and its popular product, Roundup®, is the most widely used weed killer in the world. Yet, it has come under intense scrutiny lately in the courts, and headlines are claiming there are harmful glyphosate residues in some of our favorite foods including Cheerios™. What is glyphosate, why is it used, and what does science say about its safety? At my home, we struggle with an ongoing battle against goutweed— a Hydra Lernaia of the invasive weed world. If you pull or cut this weed, it will only sprout more roots underground as a survival response. 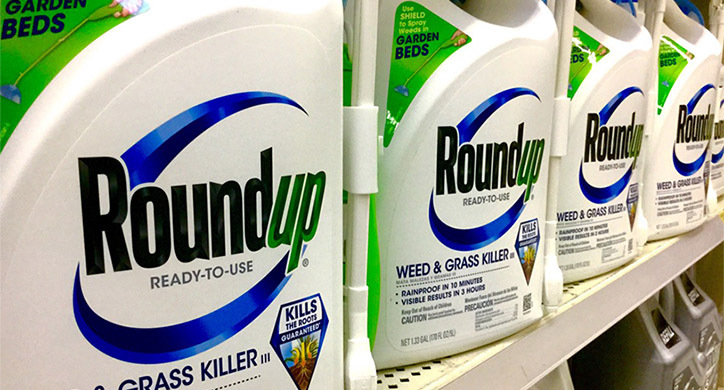 We researched and spoke with weed experts and ended up turning to Roundup, a glyphosate product, to get rid of it. And after three applications this past spring, the weed was finally gone. At Dirt-to-Dinner, we have researched and written about glyphosate before and concluded it safe for use as directed. But with the enormous judgment against Monsanto, in California last month, have things changed? Glyphosate is a broad-spectrum herbicide – meaning it kills anything green and growing that it is sprayed on. It is the active ingredient in Roundup®, among other herbicides, and is marketed to homeowners and farmers to kill weeds in lawns, crop fields, vineyards, and orchards. Other major users are golf course owners who use glyphosate to keep the greens and fairways pristine and the U.S. Forest Services – for forest management. Glyphosate is also used in conjunction with herbicide-tolerant seeds for corn, soy, and cotton. So, for example, a farmer can plant Roundup-ready soybeans in the early spring, then spray the field with glyphosate for weed control and not kill the soybean seedlings. Why do farmers use glyphosate? Weeds compete with crops for nutrients, water, and sunlight and some even release toxic chemicals through their roots that directly harm crops. Controlling weeds with herbicides like glyphosate is a critical part of field management for farmers to achieve profitable yields. 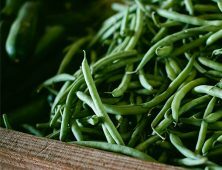 This also affects consumers in that higher yields translate into more plentiful and affordable food. Additionally, farmers practicing no-till farming may use glyphosate to clear their fields for planting. In this case, farmers use herbicides to suppress weeds instead of tilling their field to rip them out. Reduced tillage means lower fuel costs and greenhouse gas emissions from not firing up the tractor a countless number of times. It also means more decomposing matter in the soil which creates a healthy soil. Healthy soil creates strong plants, retains water, and reduces runoff and erosion. Here is a great video produced by Know Ideas Media explaining why farmers use glyphosate. Glyphosate inhibits the activity of an enzyme, called EPSP synthase, which is essential to plant growth. EPSP synthase is not found in humans or animals, and when applied to growing weeds, just stops them in their tracks. 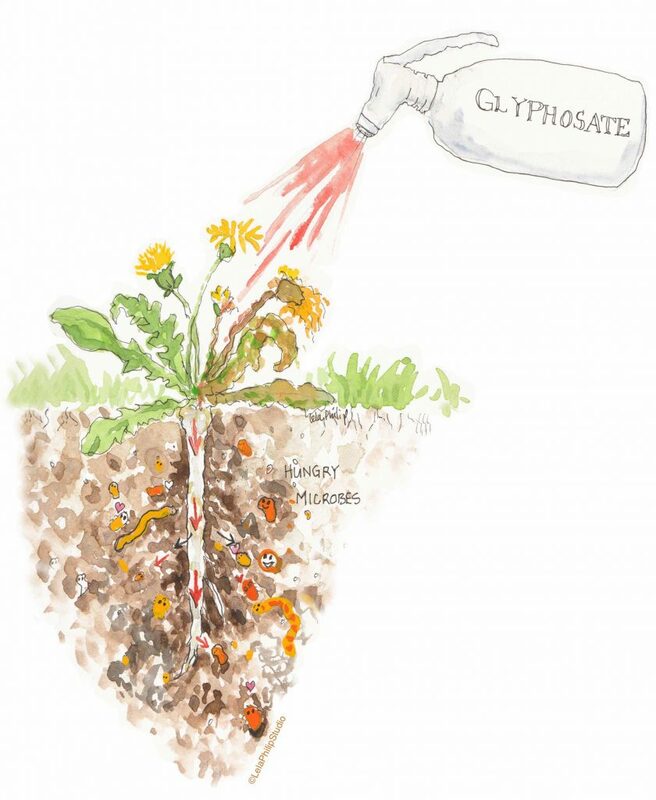 Once absorbed by a plant, glyphosate travels to the roots, where it is broken down naturally by bacteria and other organisms living in the soil. The science says yes. 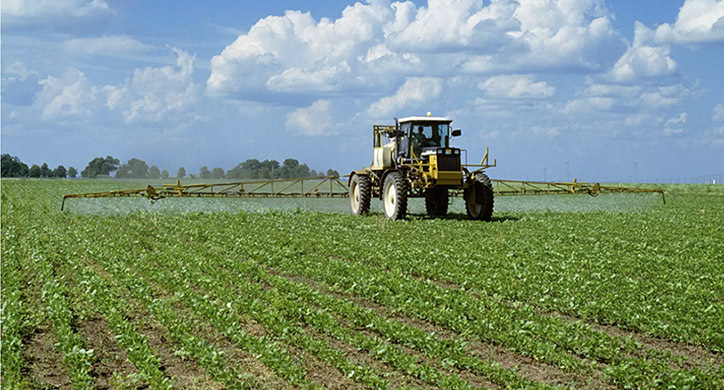 Pesticides used on conventional and organic crops are highly regulated and undergo rigorous scientific evaluation by the U.S. Environmental Protection Agency. It is through this process that pesticides are safe when used according to the product label. In the case of glyphosate, The U.S. Environmental Protection Agency (EPA), the National Institutes of Health (NIH), the Joint FAO/WHO Meeting on Pesticide Residues (JMPR) and regulatory authorities throughout the world have reaffirmed that glyphosate is safe to use as directed and does not cause cancer. What about the findings of glyphosate residues in our food? 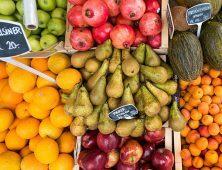 Whether farmed conventionally or organically, trace amounts of pesticide residues can find their way into our food system. The question is: how much residue is too much? The answer is: to consume the amount that is too much requires you to eat many, many portions, every day, for the rest of your life! 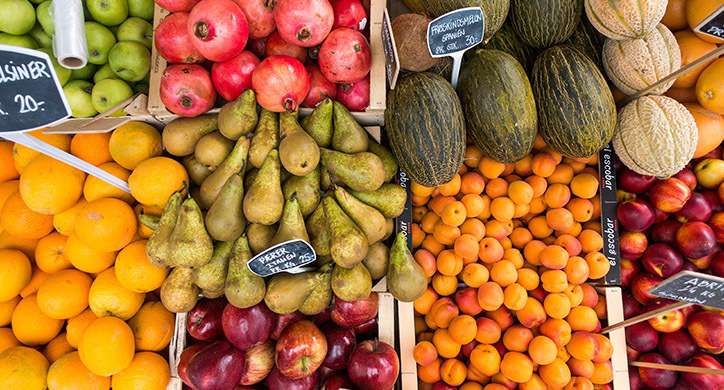 To understand how much is too much, we need to understand the Acceptable Daily Intake (ADI). ADI is a measure of the amount of a specific substance in food or drinking water that can be ingested on a daily basis over a lifetime without an appreciable health risk. The ADI is set with a large margin of safety, usually 100 times the maximum effect seen in the laboratory. The European Union has set an ADI for glyphosate at 0.3 milligrams per kilogram of body weight per day. 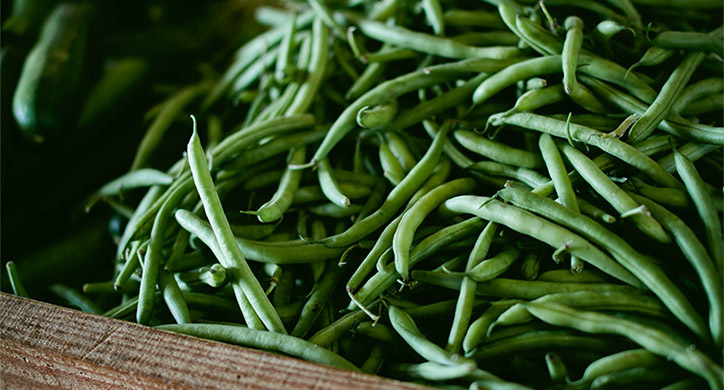 The U.S. EPA figures are 1.75 milligrams per kilogram of body weight per day. Cheerios™ by General Mills and Old Fashioned Oats by Quaker® Oats were among the favorite consumer products recently tested for glyphosate residue by the Environmental Working Group (EWG). The group has a history of presenting (or misrepresenting) data in a manner that causes unnecessary fear. In this household, Cheerios™ was a staple breakfast item in this household during my children’s younger years. I wondered about EWG’s claim that I poisoned my kids. In the examples below, we use the more conservative European Union Acceptable Daily Intake for glyphosate (0.3 milligrams per kilogram of body weight per day). The science says… The highest level of glyphosate found in the EWG report for Cheerios (serving of 28 grams), was 0.53mg/kg. 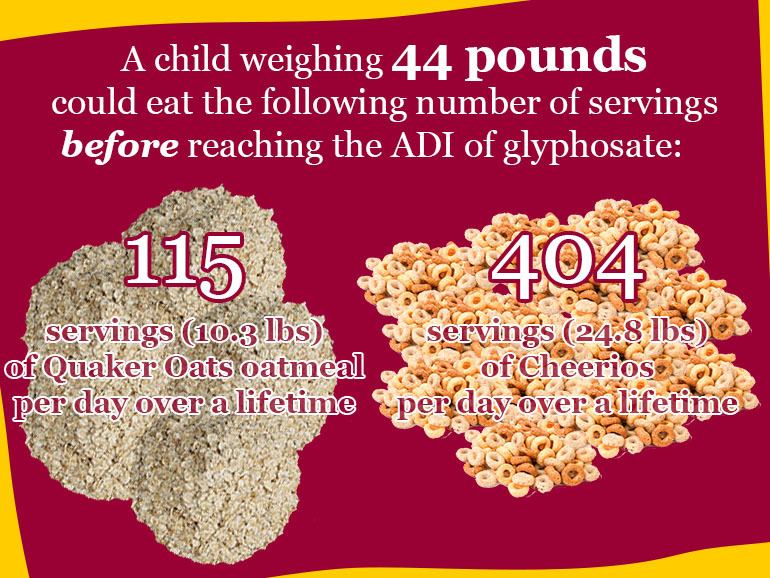 The highest level of glyphosate found in Quaker Old-Fashioned Oats (serving of 40 grams) was 1.3 mg/kg. A child weighing 11 pounds would have to eat 29 servings of Quaker® Old Fashioned Oats and 101 servings of Cheerios™ every day over a lifetime. An older child weighing about 44 pounds would have to eat 115 servings of Quaker® Old Fashioned Oats and 404 servings of Cheerios™ every day over a lifetime. The U.S. Food and Drug Administration, which is testing for glyphosate levels in harvested crops for the first time, released data in October 2018. In milk and eggs, none was detected, according to the agency. In corn and soybean samples that did test positive (many tested negative), the amounts were below minimum levels established by the EPA. What about the lawsuit against Monsanto? What are the herbicide alternatives? First introduced in the mid-1970s, glyphosate has low toxicity to humans and animals and decomposes in the soil. 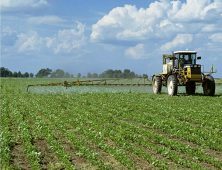 While there are certainly other chemicals that farmers use, glyphosate replaced a class of much more dangerous herbicides and is considered the safest and most environmentally friendly herbicide on the market today. Weeds are a challenge for all growers. Glyphosate is just one tool in a farmer’s toolbox for managing crop health. It has helped farmers use fewer herbicides on their crops and improve their crop yields. Additionally, it has contributed to no-till farming, which benefits the soil and the environment. Regulatory agencies have reviewed hundreds of studies confirming its overall safety.